I so love this bread from Walter. It’s tastier and sweeter compared to my favorite pandesal and I can eat it without any spread. It goes well with my creamy cup of coffee for breakfast and snack. I’ve always love bread and a new product as good as this one is a welcome treat for me and my family. The high fiber and wheat component of Walter bread is good for digestion and over-all health. I received free samples during the Christmas Party for Mommy Bloggers last December 11. See the back of the package for the complete list of benefits and nutrition content. 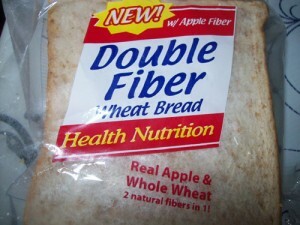 Double Fiber Wheat Bread is available in your favorite supermarket. 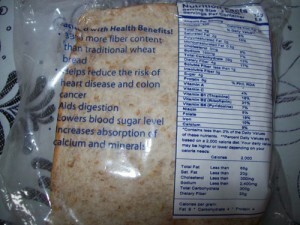 This entry was posted in Healthy food, Product sample and tagged Walter Double Fiber Wheat Bread, wheat bread on December 21, 2010 by Yami.